Bettas come in almost every color of the rainbow. Bettas are known for their colors. Due to selective breeding, you can find bettas in every color of the rainbow. However, a number of factors, including poor nutrition, can cause them to loose their bright coloration. Feeding your betta the right food can keep their colors vibrant. Spirulina is a micro-algae that promotes health and coloration in fish. Since bettas are carnivores, they will probably not eat this food on its own. However, there are plenty of aquarium products on the market that contain spirulina as an additive including fish flakes and some frozen foods. Feeding your betta brine shrimp (and other crustaceans like copepods and daphnia) can enhance your fish's colors. Crustaceans are usually rich in carotenoid pigments, which can contribute to reds and yellows in a fish's coloration. Additionally, brine shrimp are easy to grow and usually free of diseases, making them a great live food. Live food in general attracts fish and promotes their health as it's what they eat in the wild. Betta's natural diet is mostly insects, but you can occasionally feed foods that contain salmon and herring, or even frozen bits of these foods. Like crustaceans, these foods contain lots of carotenoids, which enhance color. You can often find these foods available frozen at pet shops. The best way to make sure your fish get what they need is to feed them a variety of foods. However, you can up the nutritional value of some foods by adding certain supplements. One popular brand is a liquid that you can soak food in. Freeze-dried foods work particularly well, absorbing the supplement like a sponge. Depending on the specific supplement you're using, they can add fatty acids and vitamins to your betta's diet. If you want your betta to look his best, there is no one miracle food. 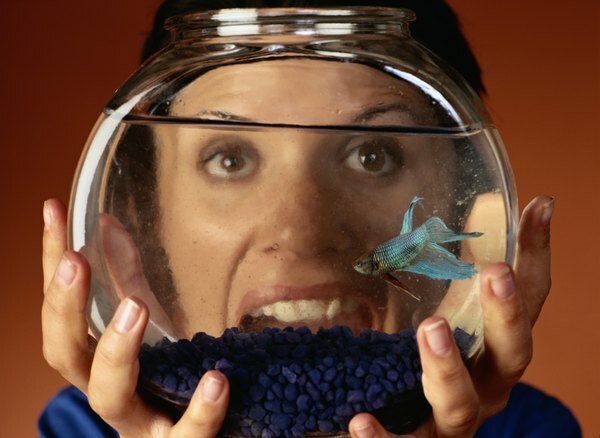 It's important to feed your fish a variety of foods to get the best results. You wouldn't want to eat just one food all of the time. Changing between foods is a great way to make sure your betta gets all of the different nutrients he needs to look good and display the most vibrant colors. 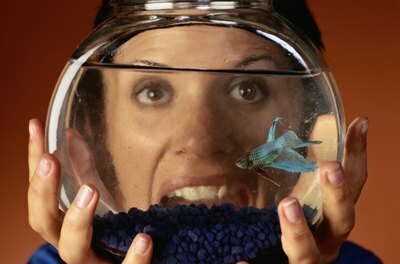 Can You Leave Food for Your Goldfish in the Tank When You Are on Vacation? Why Do Bettas Change Color?